The story of Kairos Academies began in Oak Hall on the University of Missouri–St. Louis South Campus, as Jack Krewson and Gavin Schiffres took part in Teach for America training in the summer of 2015. During their two-year commitment to Teach for America, the concept evolved through semi-regular meetings on nights and weekends, whenever they could find some free moments between their UMSL MEd coursework and their corps responsibilities: Jack as a math teacher at Normandy High School, Gavin teaching English at Jennings Senior High. It moved to the kitchen of Krewson’s apartment or whatever tables were open at Starbucks, to the front porches and community centers of Dutchtown on the south side of St. Louis, as Krewson and Schiffres canvassed the neighborhoods to get resident input from the constituents they hoped to soon serve about the public charter school they wanted to create. Now, Krewson and Schiffres work from the high-tech, vibrantly colored Cortex Innovation Community building in the Central West End. They earned sponsorship from the Missouri Charter Public School Commission over the summer and approval from the state Department of Elementary and Secondary Education in October. Kairos is set to open in fall 2019, with an anticipated enrollment of 115 sixth-graders. The plan is to add a grade each year until the school can accommodate an estimated 700 students, grades six through 12, for the 2025-26 school year. Krewson, the son of St. Louis mayor and 1977 UMSL graduate Lyda Krewson, is a St. Louis native who earned his bachelor’s degree from Washington University in St. Louis. Schiffres is from New York City and, after earning his undergraduate degree from Yale, selected St. Louis as one of his top Teach for America destinations. They both saw the city as a place of great promise. They still do. Through their work with students at Jennings and Normandy, Schiffres and Krewson came to some conclusions. The best way to reach students was through personalized learning. Not everybody in their classes was at the same point of comprehension, and they responded to different styles of teaching. Once the two started catering their styles more to the students’ needs, performance followed: Krewson’s students saw a 21-percent increase in state test scores and Schiffres’ averaged a jump of five points on relevant sections of the ACT. They also saw the effects a lifetime of learning in the traditional method had on students when they went away to college. That’s why two of the main tenets of Kairos will be meeting the students where they are academically and allowing them to largely direct their own learning. Krewson and Schiffres are seeking a team of 12 educators to lead the school in its first year, all of whom will embody both teaching and administrative roles. Each staffer will serve as a “coach” to around 10 students, a level of service and accessibility that Krewson said really resonated with Dutchtown parents as the two did their listening tours. The curriculum will be provided by Summit Public Schools – a national charter network based in San Francisco that uses materials vetted by Stanford professors. Their platform houses personalized learning playlists that deliver on-demand lessons and automatically grade student practice. They tested the model out over the summer, in a six-week course with 60 sixth-graders. Students who participated learned the material twice as fast as those who weren’t part of the pilot group. 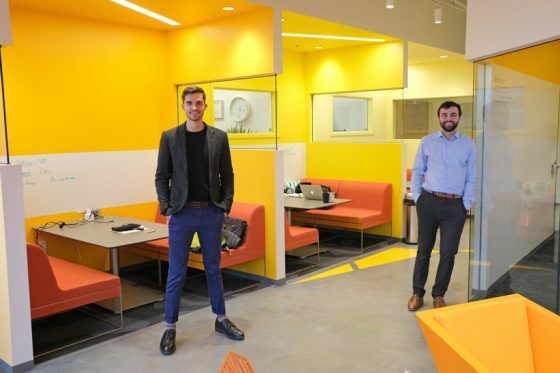 Jack Krewson and Gavin Schiffres want the workspaces in their new Kairos Academies charter school to be less like traditional classrooms and more like the interior of the Cortex Innovation Community building from which they currently work in the Central West End. Krewson and Schiffres presented those results in a 707-page charter application to the state: the longest in the history of Missouri. They wanted to show that every choice they were making came from a sound background of theory and research, from the teaching method to the Dutchtown location, nestled at the intersection of the first-, second- and fourth-most educationally underserved zip codes in the city, according to a report by IFF, a real estate lending and consulting organization for nonprofits. The initial student base will be heavily concentrated in Dutchtown and the surrounding communities, though Krewson and Schiffres hope the school will soon be able to serve the whole south side. “We’re intentionally trying to serve that kind of diverse community,” Schiffres said. “Dutchtown happens to be one of the most diverse areas in the city and also at the midpoint between some wealthier neighborhoods and some lower-income neighborhoods scattered around the south side. We thought that was a good opportunity to draw families close by who have different stations in life, so their kids can learn to work across lines of difference. 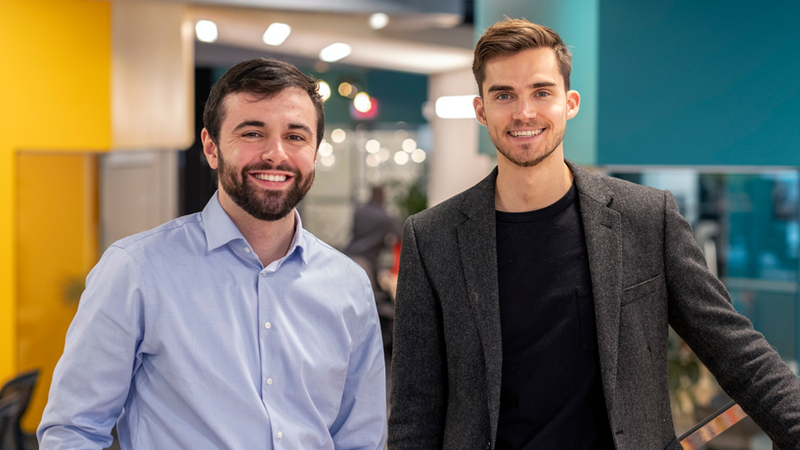 With less than a year until Kairos opens, Krewson and Schiffres are focused on four things: student and faculty recruitment, continuing fundraising and finalizing a location in Dutchtown, replete with learning spaces that are more like college libraries and coffee shops and less like traditional classrooms. They’re searching for educators nationally and locally – including UMSL graduates – who share their desire for innovation. You can learn more about Kairos Academies by visiting www.KairosAcademies.org or emailing founders@kairosacademies.org.